The first literary testimony of the production of Bresaola dates back to the 15th century, but the origin is previous. Production belongs to family environment until the first decades of the 1800. In the 19th century, the production of deli meats became booming, and the product is exported to Switzerland. The climate of Valtellina is the main secret that characterizes the production of Bresaola della Valtellina PGI and makes it a typical, unique and inimitable product. Exclusively producers in the Province of Sondrio can use the EU recognition mark. There are many aspects of the local tradition, which are still important nowadays: the ability to choose the best cuts in the adult bovine (like haunc’s tio, loin, underloin, topside, and underbone), the paring, and the dosage of the natural aromas. Furthermore, there is the massage of the meat during salting, the right temperature, and humidity variations. Dry salting is carried out: can be added salt, pepper, garlic, cinnamon, laurel oak, cloves (sometimes wine, spices and sugar) and let rest in brine from 10 to 15 days. Finally, the meat is stuffed into casings and sent to the next stage of drying in special cells (from 4 to 8 weeks). The cut is vivid red color, salty taste and a delicate and slightly aromatic scent. It is traditionally eaten thinly cut and seasoned with oil, lemon, and pepper. Very tasty with salads, bread, fruit, and fresh cheeses. 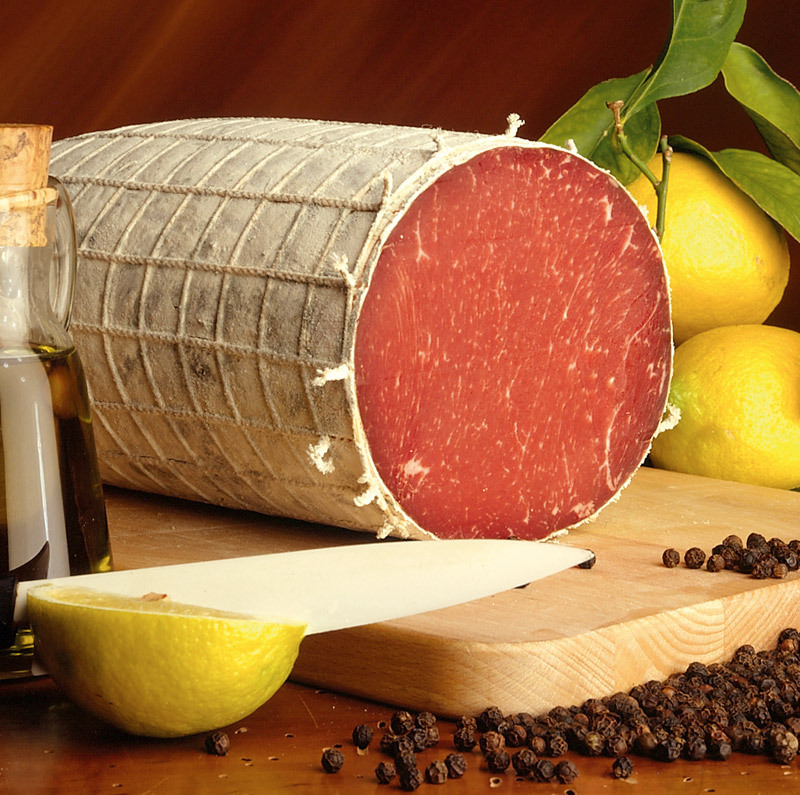 The term Bresaola, in the past “brazaola”, “brisaola” or “bresavola”, is uncertain. The etymology of the name could be derived from the expression “sala come brisa” for the use of the salt in the preservation of the meat; or by the word “brasa” (in dialect: embers) since the drying of the product once took place in rooms heated by braziers. 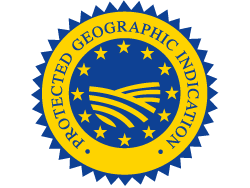 Protected Geographical Indication (PGI) recognized under Reg.ne EU Reg.to CE n. 1263 of 01.07.1996 GUCE L. 163 of 02.07.1996.